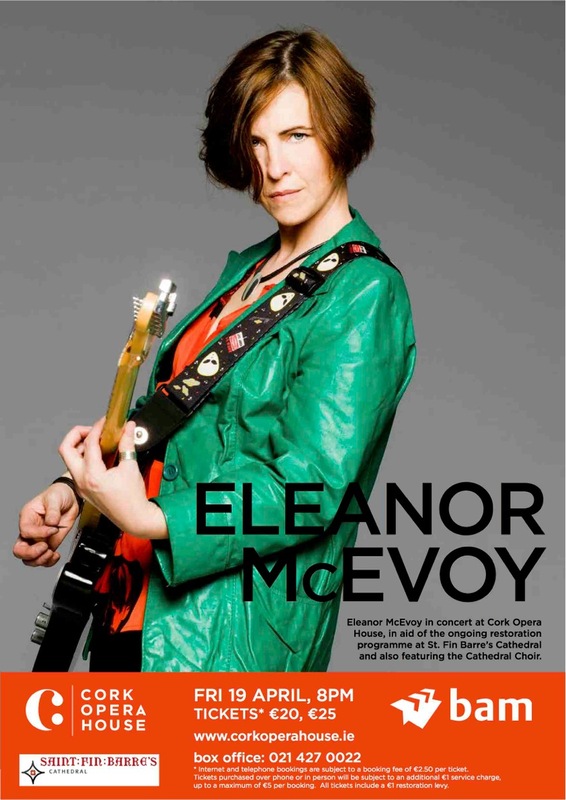 Celebrated singer/songwriter Eleanor McEvoy, who composed the popular song “Only A Woman’s Heart” (part of the best-selling Irish album in Irish history), is to play Cork Opera House for one night only next Friday (19th April), supported by the Cathedral Choir. This concert has tremendous appeal and should be a sell-out. People relate to Eleanor McEvoy and her music, but above all to her wonderful song ‘Only a Woman’s Heart’. The Cathedral Choir is thrilled to share a stage with Eleanor as part of her ‘Girl in a Black Car’ Tour. We know the people of Cork will have an uplifting and memorable experience and we are encouraging families and groups of friends to make a night of it – all in aid of our on-going restoration project, which at present is focussed mainly on the Cathedral Organ. Led by the Director of Music, Malcolm Wisener, the choir will perform a selection of pieces, demonstrating the unique sound of children’s and adults’ voices singing from a wide ranging choral repertoire. The concert will also see the premiere of a version of the song ‘Something so Wonderful’, which was composed by Eleanor and Henry Priestman formerly of The Christians, arranged specifically by Eleanor for the Choir. Renowned for her intimate, emotional and uplifting performances, Eleanor’s 10th and latest studio album, ‘If You Leave…’ has received considerable critical acclaim both in Ireland and internationally and she will perform songs from that album at the Opera House. This entry was posted in Cathedral, Cork, Diocese. Bookmark the permalink.